ARTBA’s mission is simple: We are a federation whose primary goal is to aggressively grow and protect transportation infrastructure investment to meet the public and business demand for safe and efficient travel. 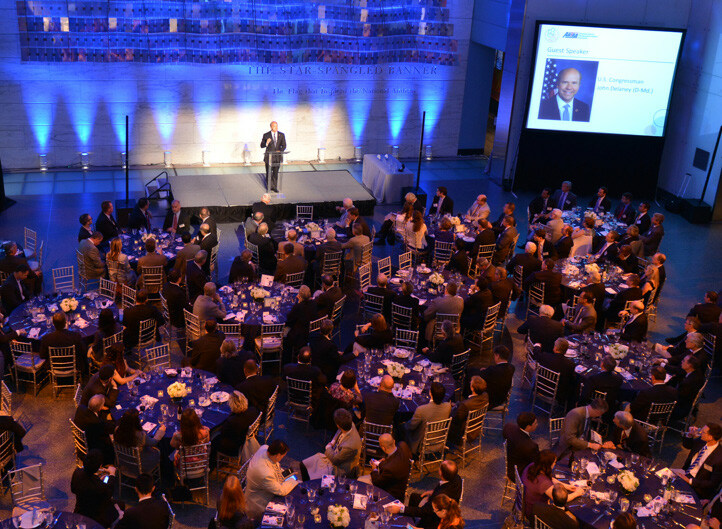 In support of this mission, ARTBA also provides programs and services designed to give its public and private sector members a global competitive edge. 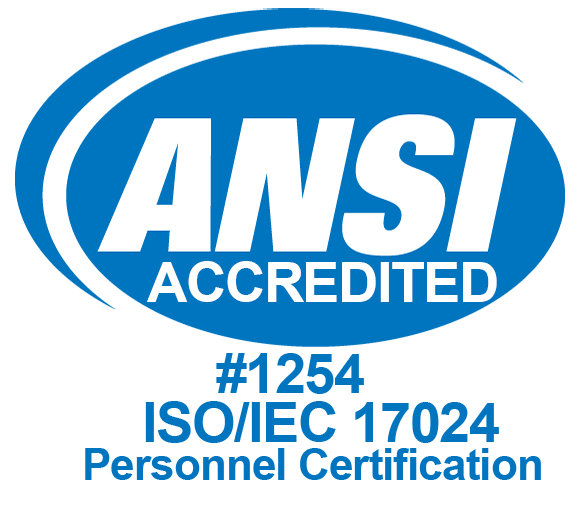 2018 - Safety Certification for Transportation Project Professionals™ program earns American National Standards Institute (ANSI) accreditation. 2017 - ARTBA marks 115th anniversary of service to the U.S. transportation design and construction industry. 2017 - National Work Zone Safety Information Clearinghouse marks 20th anniversary. 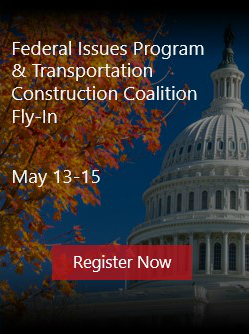 2016 - ARTBA-TDF Safety Certification for Transportation Project Professionals™ program launched. 2015 - ARTBA-TDF celebrates 30th anniversary. 2015 - ARTBA-TDF’s Young Executive Development Program is rebranded as the Industry Leader Development Program. 2015 - A five-year highway/transit investment bill (FAST Act) is signed into law by President Barack Obama. 2014 - ARTBA hosts inaugural National Workshop for State & Local Transportation Advocates. 2014 - ARTBA leads the successful industry push for the first multi-year federal waterway and ports infrastructure investment bill in seven years.It’s signed into law by President Barack Obama. 2014 - ARTBA launches Transportation Investment Advocacy Center™. 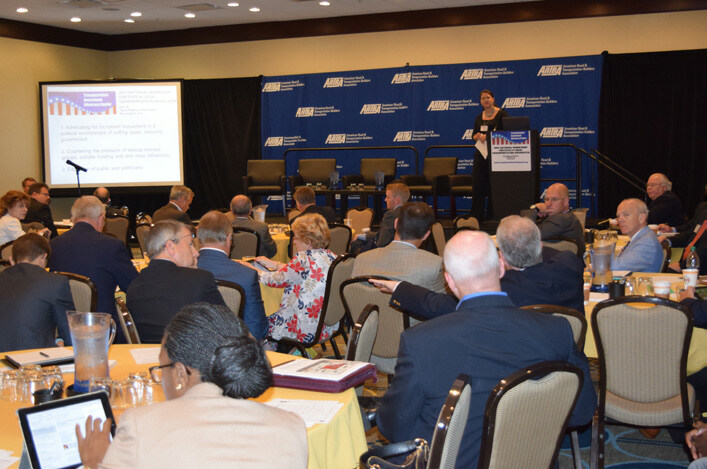 2013 - ARTBA hosts milestone 25th Annual National Public-Private Partnerships (P3) in Transportation Conference. 2011 - ARTBA launches first-ever Dr. J. 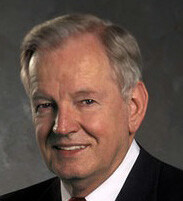 Don Brock TransOvation™ Workshop, an interactive event aimed at fostering industry innovation. 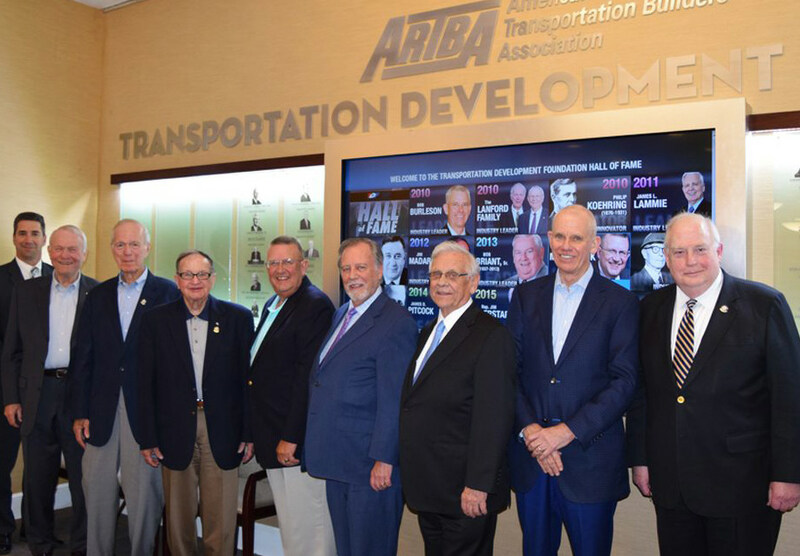 2010 - ARTBA-TDF unveils Transportation Development Hall of Fame. 2009 - President Barack Obama signs the American Recovery & Reinvestment Act, which providesan extra $48 billion over two years for transportation improvements. 2007 - ARTBA hosts National Traffic Management & Work Zone Safety Conference atIntertraffic North America in Fort Lauderdale, Fla.
2006 - ARTBA celebrates 50th anniversary of the Interstate Highway Program in Washington, D.C.with a gala dinner featuring General Colin Powell. 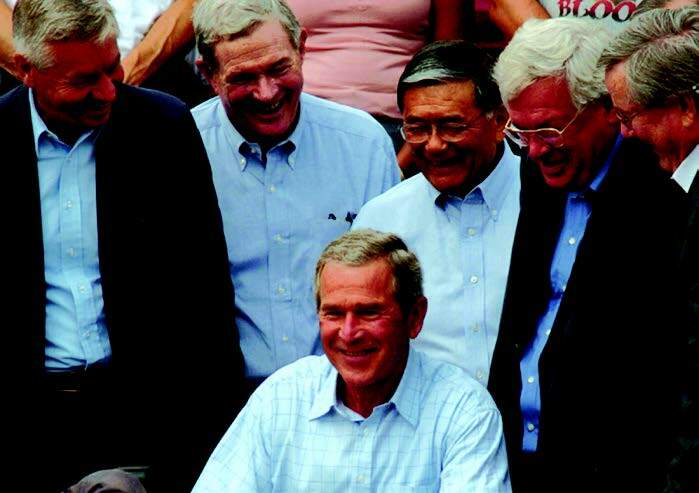 2005 - ARTBA-pushed highway/transit program bill (SAFETEA-LU) signed into law by President George W. Bush. 2004 - ARTBA plays a key leadership role in helping secure long-time industry goal of ethanol tax reform,which results in an additional $2 billion annual revenue stream for transportation improvements. 2003 - ARTBA-led coalition successfully advocates for passage of aviation investment bill (VISION-100)that’s signed into law by President George W. Bush. 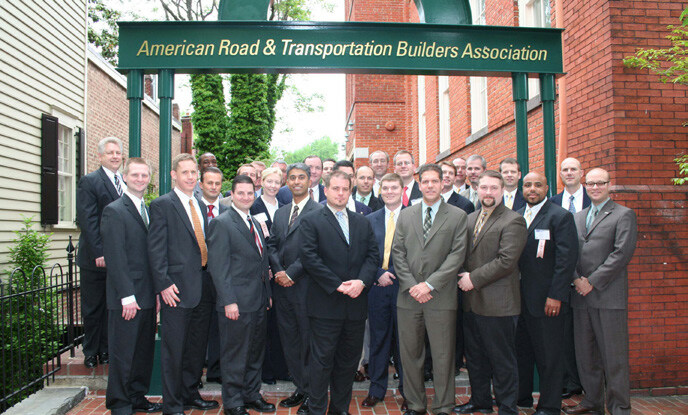 2002 - ARTBA “Transportation Makes America Work” (TMAW) grassroots lobbying and communications program launched. 2002 - ARTBA celebrates 100th anniversary in New York City and Washington, D.C.
2001 - ARTBA holds first-ever International Conference on Roadway Work Zone Safety. 2000 - ARTBA-led coalition secures passage of federal aviation bill (AIR-21), increasing federal airport capital investment by more than 60%. It’s signed into law by President Bill Clinton. 1999 - ARTBA-TDF creates first-ever Lanford Family Highway Worker Memorial Scholarship Program. 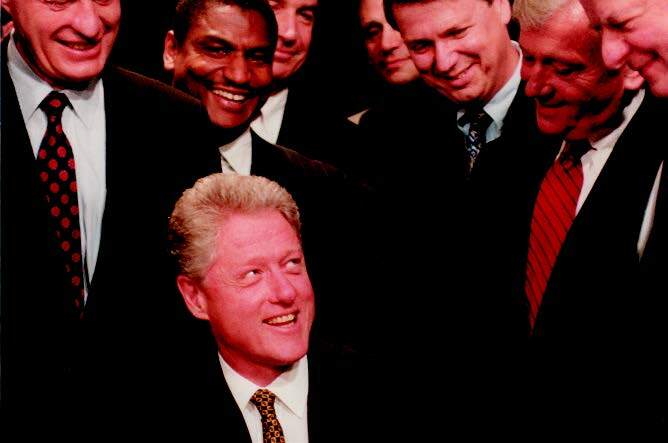 1998 - ARTBA-led coalitions successfully push record $218 billion federal highway/transit program bill (TEA-21) signed into law by President Bill Clinton. 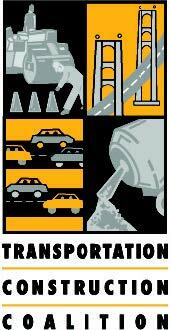 1998 - ARTBA “PRIDE in Transportation Construction” campaign launched. 1997 - ARTBA and Federal Highway Administration establish first-ever National Work Zone Safety Information Clearinghouse. 1997 - “Washington Newsline” established. 1997 - ARTBA flagship website (www.artba.org) launched. 1996 - ARTBA initiates Transportation Construction Coalition (TCC). 1995 - ARTBA-TDF creates Young Executive Development Program (YEDP). 1995 - ARTBA successfully pushes enactment of National Highway System Designation Act. 1994 - ARTBA launches InfoStructure OnlineTM electronic bulletin board. 1994 - ARTBA Industry Advancement Fund (IAF) created. 1993 - ARTBA files first environmental lawsuit to protect industry market interests. 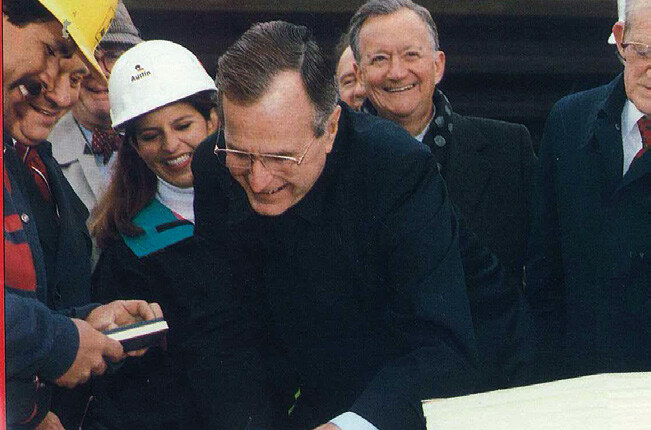 1991 - ARTBA-pushed highway/transit program bill (ISTEA) signed into law by President George H.W. Bush. 1990 - Public‑Private Ventures in Transportation Division established. 1989 - ARTBA organizes $1.5 million “Building a Better America Through Transportation Construction Campaign” to push for increased federal investment. 1989 - “Washington Update” fax service established. 1985 - ARTBA Transportation Development Foundation (TDF) established. 1985 - ARTBA holds first-ever National Conference on Highway Work Zone Safety in Washington, D.C.
1982 - ARTBA successfully pushes first federal gas tax increase for road construction in 23 years. 1979 - ARTBA‑Political Action Committee (PAC) started. 1979 - Traffic Safety Industry Division established. 1977 - Name changed to American Road & Transportation Builders Association (ARTBA). 1977 - Transportation Officials Division established. 1976 - ARBA-proposed federal “4-R” programs enacted. 1970 - ARBA-pushed federal Airport Trust Fund established. 1968 - ARBA & CIMA create The Road Information Program (TRIP), headquartered in ARBA office. 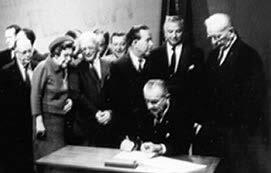 1966 - ARBA-advocated cabinet level U.S. Department of Transportation created. 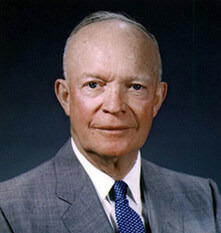 1956 - ARBA founder Horatio Earle’s vision of Interstate highway construction program and federal Highway Trust Fund achieved in law signed by President Dwight Eisenhower. 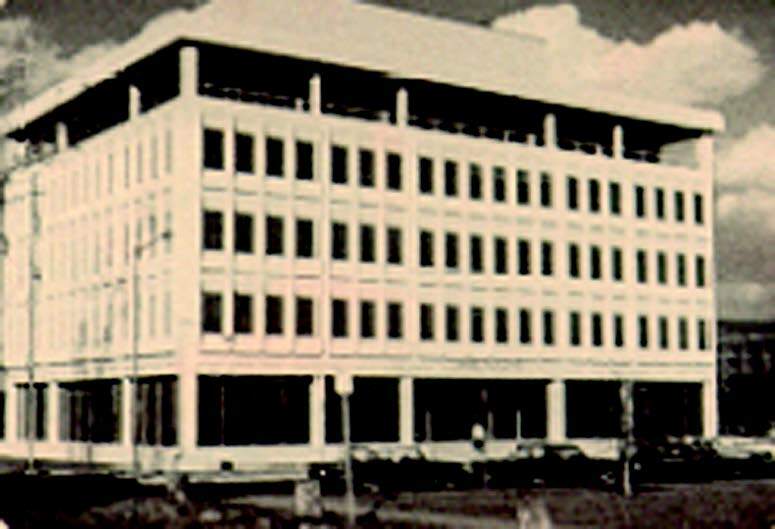 1956 - Planning & Design Division established. 1951 - Materials & Services Division established. 1948 - Record 300,000 attend ARBA annual convention and “Road Show” in Chicago. 1945 - ARBA member Harry S. Truman elected U.S. president. 1942 - ARBA helps form "The Road Gang” in Washington, D.C.
1940 - Annual convention and “Road Show” in Chicago attracts 47,500. 1936 - Contractors and Education Divisions established. 1933 - Georgia Road Builders Association becomes first state contractor chapter. 1930 - European Division established. 1928 - City Officials and Pan‑American Divisions established. 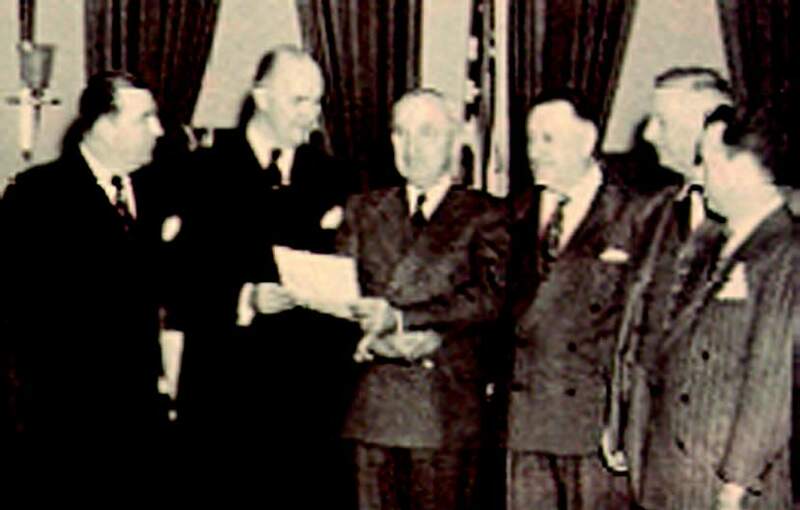 1928 - Headquarters moves from New York City to Washington, D.C.
1927 - ARBA Manufacturers and County & Local Roads Divisions established. 1926 - A joint committee between ARBA and AASHO established. 1923 - Association launches member magazine (today called Transportation Builder). 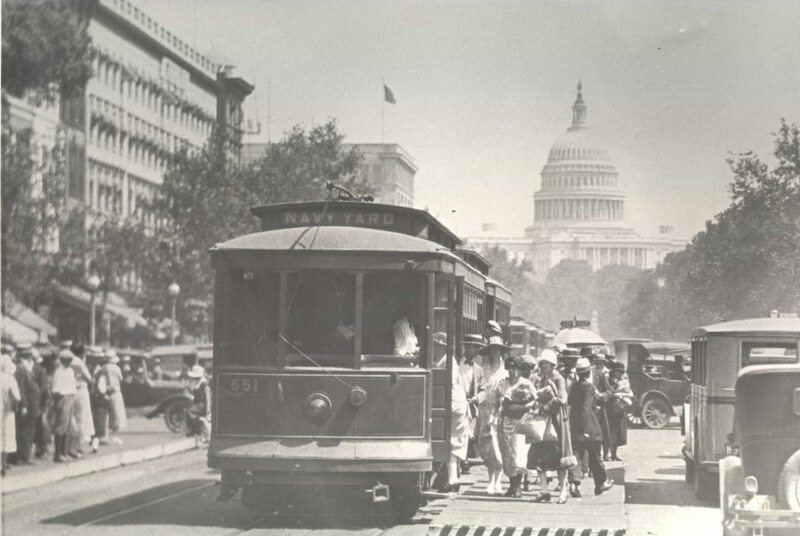 1921 - ARBA secures increase in road construction funding with passage of Federal-Aid Road Act. 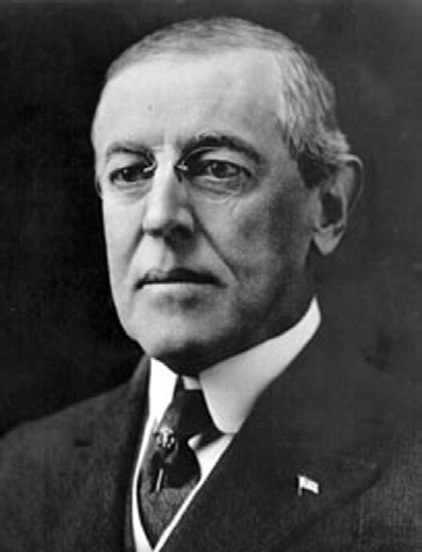 1916 - ARBA successfully pushes first Federal- Aid Road Act, signed by President Woodrow Wilson. 1915 - ARBA sponsors first Pan American Good Roads Conference.